Most PC gamers will be familiar with the turn-based gaming time-sink that is the Civilization series. It’s as close as you can get to an institution in the PC gaming world, spawning its own modding community and dedicated fan base. What happens, though, if some of your friends turn up on your doorstep unannounced and intrude upon your precious Civ time? You can’t continue playing - there's no telling what the hooligans would get up to unsupervised in your home - no, you need some way of keeping them amused while simultaneously servicing your addiction. 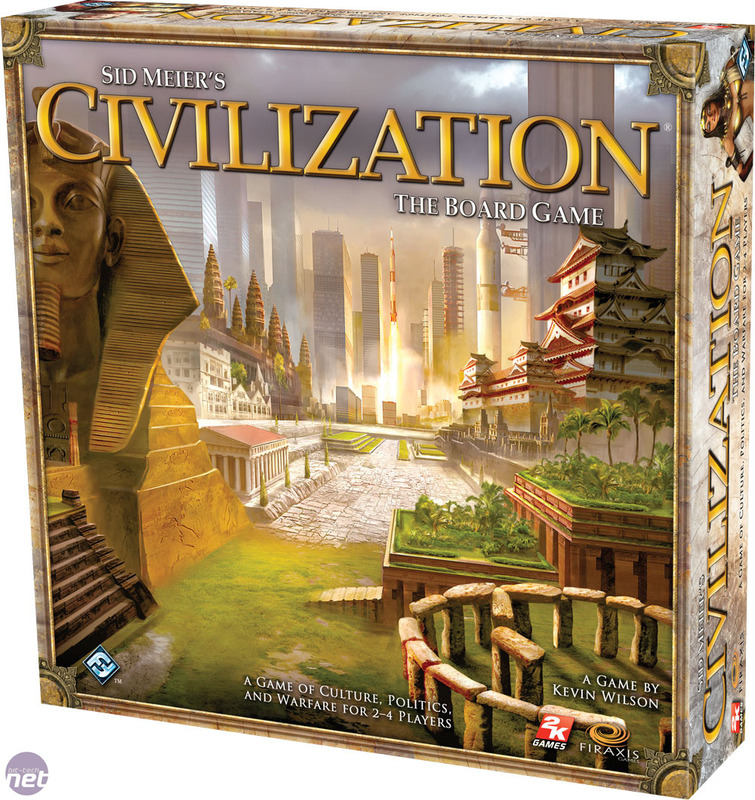 It's here that Civilization: The Board Game could step in to save the day. 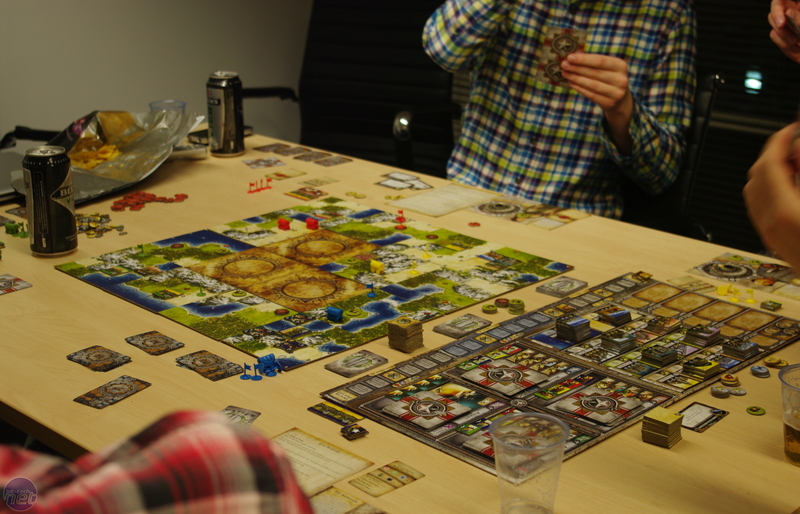 Our first impression when we opened the Civilization the Board Game box was simply one of awe. The game comes with enough counters, markers, tiles, cards, figures, connectors, dials and tokens to sink a battleship, while the rulebook doubles as a paperweight. This makes it a pretty intimidating game to start playing, as its obvious right from the off that you’re attempting to grapple with a monster. However, it quickly becomes apparent though that this is because the game is a remarkably accurate reproduction of the PC game. The simplest manifestation of this is apparent in the over-arching mechanics that govern the game. Just as in the computer game, players can win through technological, economic, cultural or military victories. You'll need to monitor your trade stats, harvest resources, build armies, accrue culture and advance up the tech tree, just as you would if you were sat in front of your PC. Thankfully, this doesn’t all happen at the same time though. Each game turn is broken into five phases (Start, Trade, Management, Movement and Research) with each player taking their turn at each phase before anyone moves on. However, there are a few exceptions to this rule; Trade and Research, for example, happen simultaneously for all players. 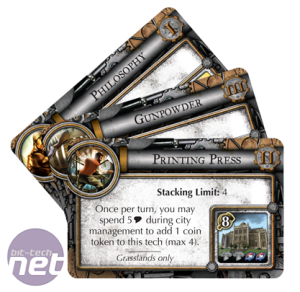 This structure aims to break down the complexities of the game into bite size chunks, but in practice we still found ourselves forgetting parts of the turn. It also made some turns intolerably slow, as players who had already planned ahead were repeatedly sat waiting for the more ad-hoc players (read: Clive) to renew their grasp on the game. 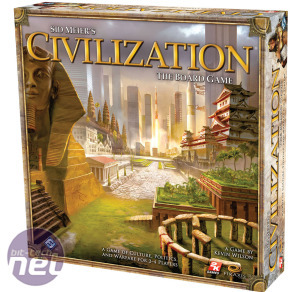 Players can play as one of six distinct races in Civilization: The Board Game, each of them different and all of them randomly allocated at the start of the game. There's no picking who you want to play as; merely coping with the hand you're dealt. Each race comes with its own bonuses, inherent technologies and political structures, meaning your assigned race can have a serious bearing on which victory you’re working towards. The Chinese, for example, are set up from the start as a production powerhouse, but with a limited ability for producing culture. This naturally means that it’s easier for anyone playing as the Chinese to go for a military victory, rather than a cultural one. The Americans, on the other hand, are very much tooled up for a cultural victory. Which race you play will also affect your starting position, as each race has a specific starting tile on the semi-random map. This is important, as the in-game resources (iron, silk, incense and wheat) are spread around the tiles liberally, and to harvest a resource you need to be close to it with either a unit or city. 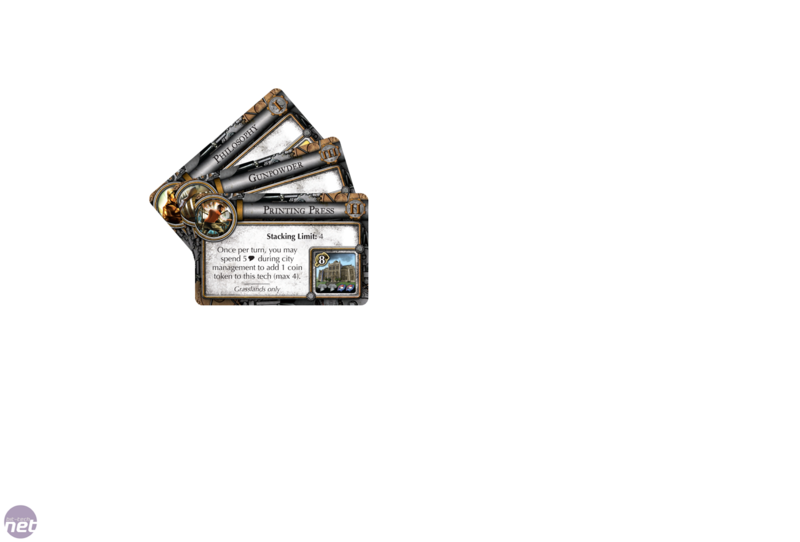 The fact that the pre-set starting tiles always have a resource on them means that certain races will always start with access to certain resources, again biasing their first moves in a particular direction.